Recently the National Health Commission and other authorities released a guidance document stating that opticians must not use unscientific words when they advertise their services for conditions like myopia in adolescents. This includes being able to "cure" shortsightedness, the Guangming Daily reported. Based on current medical conditions, there is currently no cure for myopia, nor have medical experts discovered what actually causes it. Some reasons are said to include too much schoolwork, inappropriate study methods, using screens too much and not going outdoors enough. 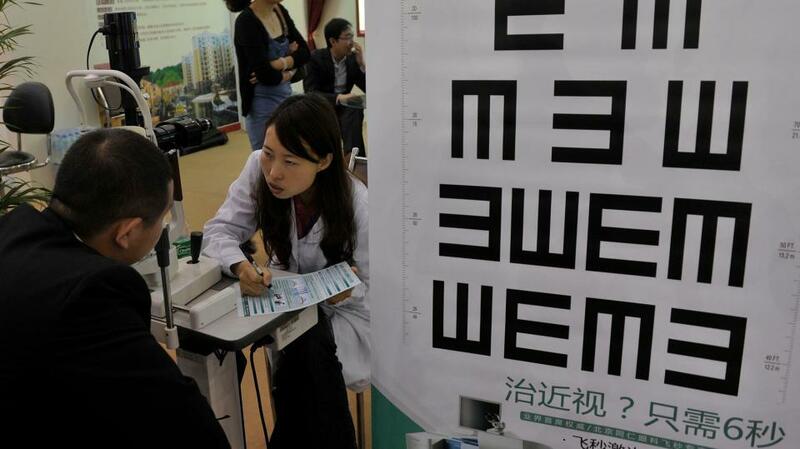 Since scientists have not figured out why so many young people are shortsighted, adverts should not claim that it can be cured, commentator Zhang Tiankun said in the Guangming Daily. The same goes for other medical conditions where advertising promises miracle cures. The advertising law stipulates that words related to efficacy shall be prohibited in adverts, and there should be clear, true and accurate sources given if adverts have to use data, statistics, survey results, abstracts and quotations. Although words and expressions in the fields of ads and scientific research are totally different – the former is more casual and the latter is more rigorous, there should be a distinction between them. Notably, research has limitations, and this is why it is necessary to ban some words in adverts.